Everyones key ring is different, has stories, knick knacks and other fun things. 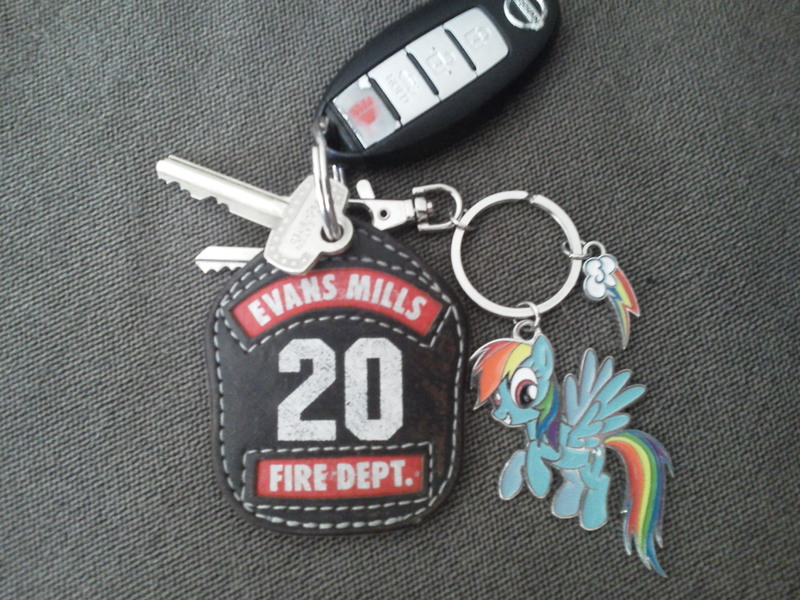 So go ahead, and post your keychain! Share the stories that come with them as well. The Fire fighter flash is the first gift from my department. Anytime we make a save, or come through in a way that's considered above and beyond, we get something small for it from the chiefs and commissioners. I got that from Hot Topic, their like 5 bucks. I like it, a lot. 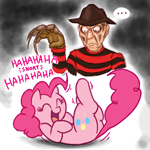 I also saw a Fluttershy one up there too, so just go to your local Hot topic and pray? I really do need to work on getting another gold LEGO brick and a new house key. -_- The anubis minifig is losing its texture as well, but those are discontinued and I only have one other one. *shrug* The oval is a memento from Mount Washington in New Hampshire. There's my keyring. The Masterchief one is fairly old, as can be seen by most of the green has worn off. I got the Zelda one from the GameStop rewards site. The Saints spinner is broke now, so it can't really spin anymore. 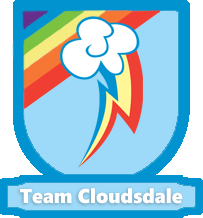 I'm still unsure about getting a Rainbow Dash keychain, mostly because I'm not sure if I want anymore keychains on my key ring. I still might get one eventually. I do like the one that you have Meirno. I got a Daytona Beach flip flop keychain doohickey I got at a boardwalk arcade on Daytona Beach, and three keys on there as you can tell: the truck key and two keys for the toolbox in the truck bed (one is a spare). 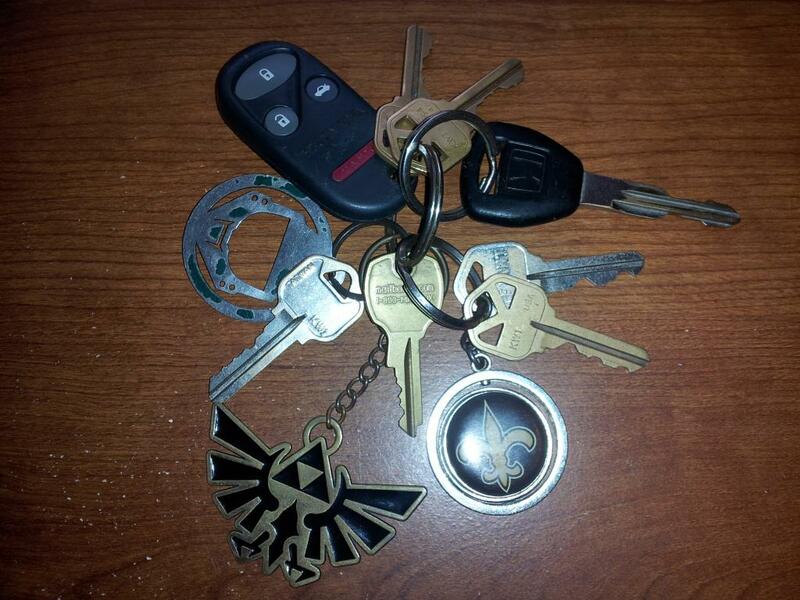 I still have yet to get a house key on there though. 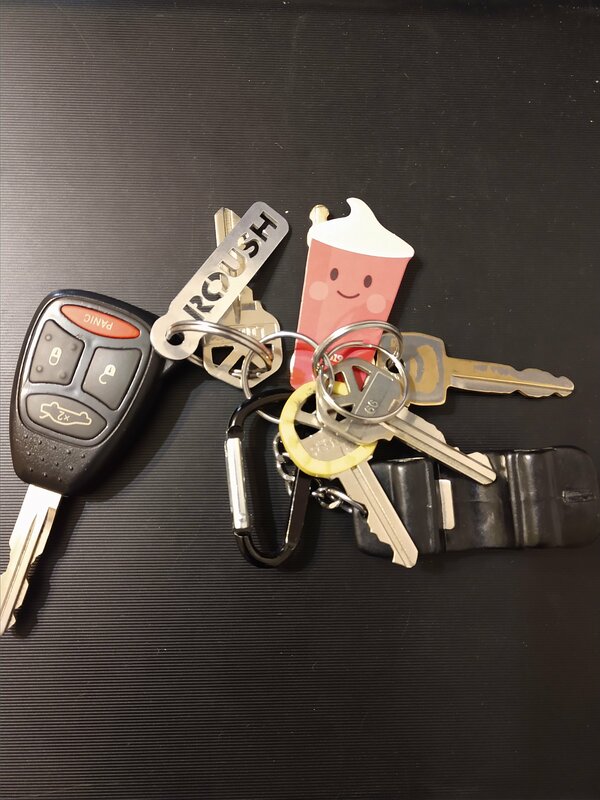 Got my car, truck, and both house and garage keys and a free frosty keychain from Wendy's and a Roush military aluminum cnc cut keychain. I really need to get a poneh on my keychain. 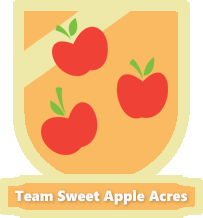 I'll post when I get something cool. Nothing too special about mine. I don’t have any keys, well unless my mailbox key counts but it’s not on a keychain. 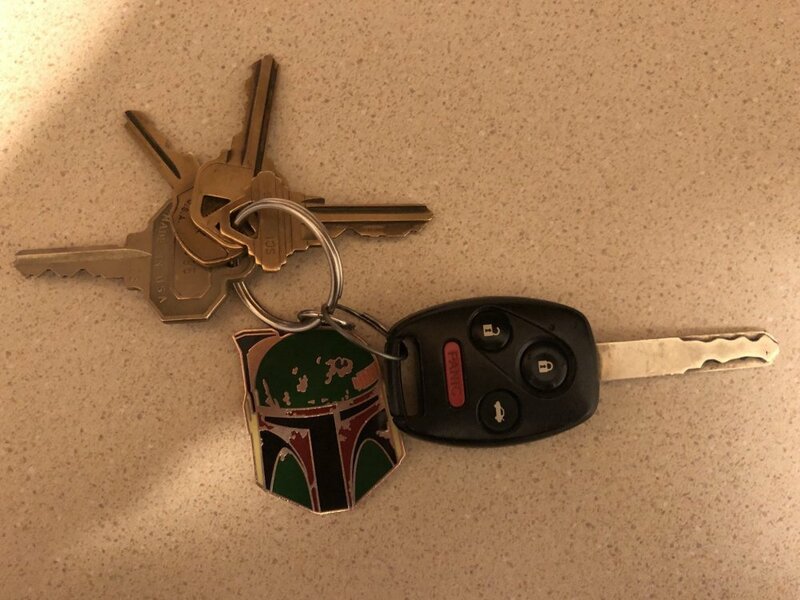 I have two separate keychains; one for my car and one for the rest of my keys. 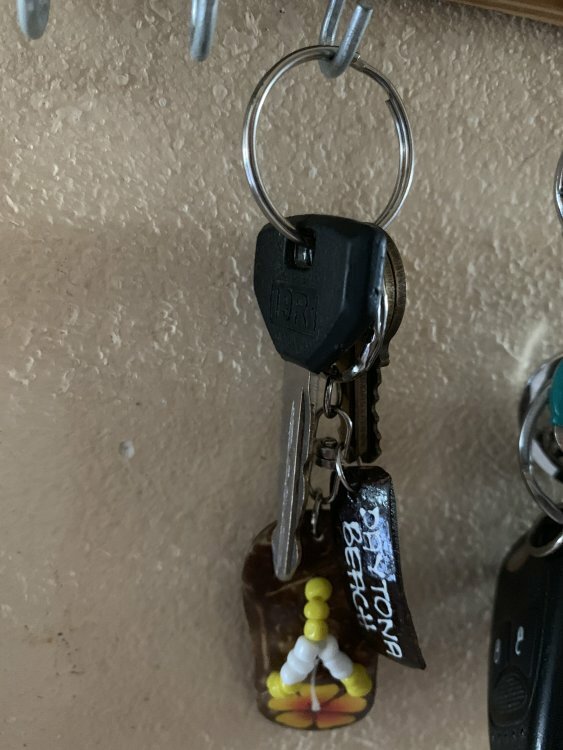 My regular keys go on a Disneyland keychain that i bought when I was very young, so I'd always be reminded of home wherever i went in the world. 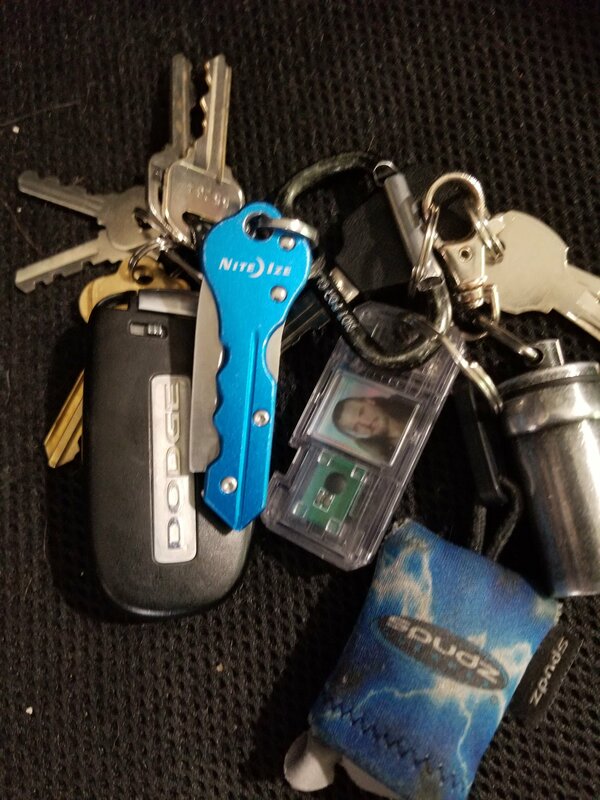 the Smart keychain just goes well with my car, and I added a color-matching flashlight so I can find my way at night. 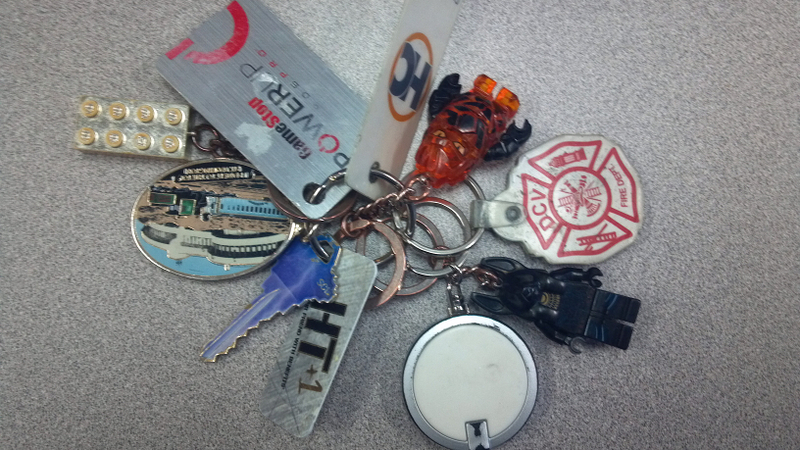 I have a lot on my key ring considering I only have one key. 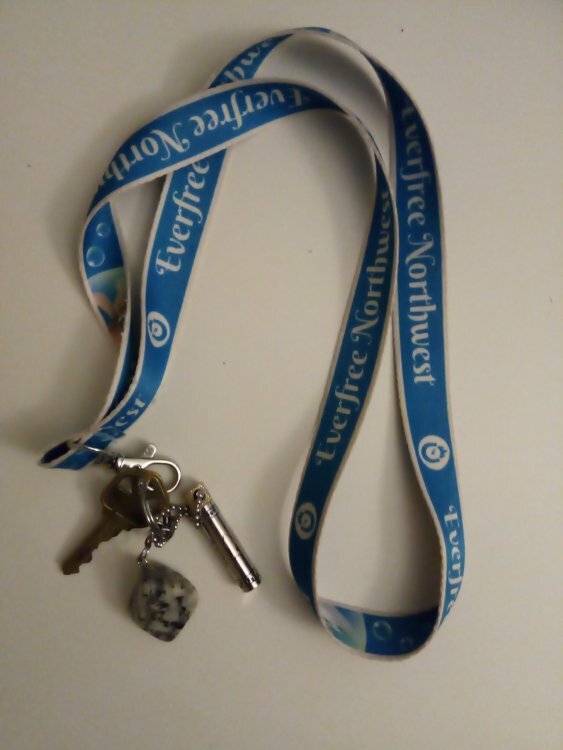 I've got my lanyard from Everfree Northwest, a small piece of granite made from the leftover stone after my church (The Church of Jesus Christ of Latter-Day Saints) built a temple in my home city, and a small vile of consecrated olive oil for if I need to give a priesthood blessing to someone who is sick.